The Carleton University School of Industrial Design had their annual graduation show this past week. It features work from the first year students all the way up to the graduating fourth year class. The show was themed Products of our Imagination. 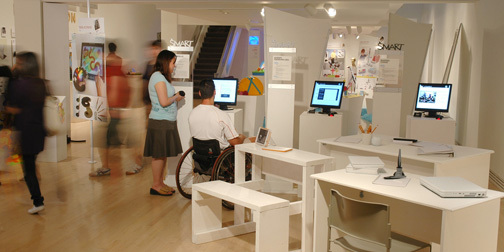 Projects covered paralympic sports equipment, wild fire gear, smart education products, and more. This Flickr photo set shows some of the great thinking that went into their projects.